The Surya Inn is quite famous among the Bengaluru Hospitality circuit due to its convenient location and comfortable room. All the rooms available at the establishment are available at pocket-friendly prices. The rooms are well-furnished and well-lit. 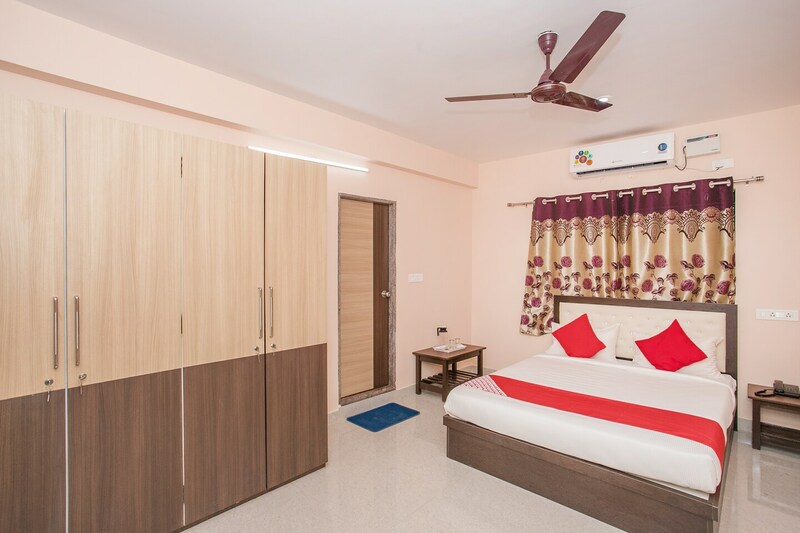 All rooms have been painted in neutral hues and a lot of woodwork has been used in the interior decor of the room. The additional facilities provided by the hotel are CCTV cameras, card payment in all forms, a constant power backup source, and free Wifi. The front desk service of this hotel can be easily located and has been decorated elegantly. The front desk is managed by experienced staff who try to solve all kinds of problems faced by the guests.